Bibi Nanaki Ji was the elder sister of Guru Nanak. She was born to Mehta Kalu Ji and Mata Tripta Ji. Her birth took place in 1464 at her mother’s village of Chahal, now in the Lahore district of Pakistan. Five years later, in 1469, her brother, Guru Nanak Sahib came to this world in Talwandi. 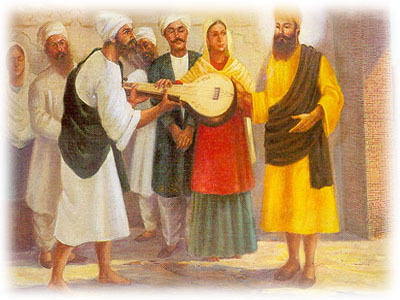 Bibi Nanaki Ji was the first to recognize that Guru Nanak was not an ordinary man. While Mehta Kalu Ji, Mata Tripta Ji, and others would get upset with Guru Nanak’s actions, Bibi Nanaki Ji would encourage her brother on his mission. There is no doubt that she was Guru Nanak’s first Sikh, first follower. 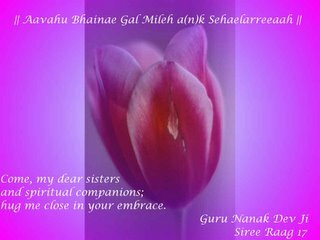 All through her life, she did not think of Guru Nanak as her brother, instead she thought of him as her Guru. From an early age it became apparent that the brother and sister had a close relationship. 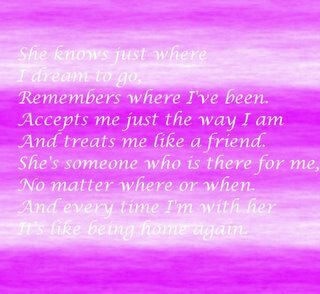 There are many stories relating to their mutual affection and her deep faith in her brother's purpose in life. She was with him throughout the early years of his childhood. When Guru Nanak Sahib was only Six years old in 1475, his sister was married to Jai Ram Ji, a revenue official from Sultanpur, which is in the present-day native state of Kapurthala, and was then the capital of the Jalandhar Doab. Bibi Nanaki was only eleven years old when she was married. Guru Nanak continued to live with his parents in Talwandi, but his parents were very much stressed with him. Mehta Kalu Ji would get upset with Guru Nanak because he would spend all day meditating or visiting saints and would not do any work around the house. Before her marriage, Bibi Nanaki Ji would calm her father, but now that she had moved away there was no one to stand up for the Guru. One day, Guru Nanak Sahib Ji saw a poor saint and gave him a brass jug from home and some gold. When Mehta Kalu Ji found out, he was very upset and scolded his son. After this incident, Rai Bular, the village Chief suggested that Guru Nanak should move to Sultanpur and live with his loving sister. Mehta Kalu Ji agreed and during his teenage years, Guru Nanak moved to Sultanpur. but you are more, to me, I see God in you." Bhai Jai Ram himself had a great respect for his younger brother-in-law. He respected the Guru for his spirituality and considered himself blessed for being related to him. So he accepted the offer of Guru Nanak moving into his house. Bhai Jai Ram Ji worked for Nawab Daulat Khan, the governor. He decided to ask Nawab Daulat Khan if he could find some work for Guru Nanak. The Nawab met Guru Nanak and was very pleased with the Guru’s personality. He gave Guru Nanak a job in the modhi khana (general store). Bibi Nanaki and Bhai Jai Ram Ji were also the ones who arranged Guru Nanak’s marriage to Mata Sulakhni Ji, daughter of Baba Mool Chand and Mata Chando Rani from the village of Pakhoke, district Gurdaspur. She is the only one who kept faith:Besides Bibi Nanaki, all of the other people started to feel sad. She treated Guru Nanak’s sons as her own, while Guru Nanak went on his preaching journeys, Mata Sulakhni Ji took the younger son, Baba Lakhmi Das Ji to her parents home. The older son, Baba Sri Chand Ji stayed in Sultanpur and lived with Bibi Nanaki and Bhai Jai Ram Ji. "Not only was he her younger brother, he was her Guru." 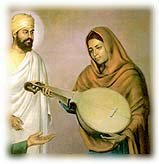 The last time Guru Nanak met his sister was in 1518. For Bibi Nanaki this visit was filled with joy, but also with sadness. Guru Nanak had said that he would only be visiting for three days. She begged that she should stay a little longer. After two days she suddenly fell ill. She breathed her last as the Guru's sacred hymn, Japji Sahib, was being recited to her. Bhai Jai Ram himself did not live much longer. Three days later he also passed away. For Guru Nanak this was his last visit to Sultanpur. He had kept his promise to his sister and had visited her whenever her heart had called out for him. He was with her when she passed away. Indeed. Thank you ever so much..
"very good seva u are doing for phenjis :)"
It's enlightenment for all. For women it's inspirational and for men it's educational. We need to be made aware and reminded of strong pure female role models. Thank you. Very interesting history! Thank- you for all the history. Some points are strong, but some points are still missing. If child marriage was so common and unopposed by the Gurus, why "legal" rules preventing it today?